UFO SIGHTINGS DAILY: V Shaped UFO Behind Las Vegas, Nevada On July 6, 2016, Video, UFO Sighting News. 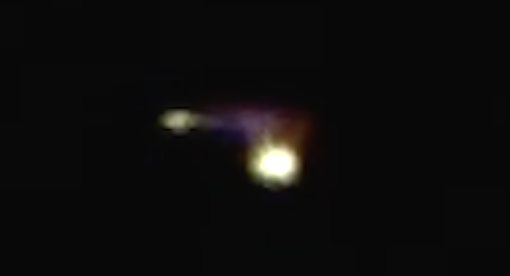 V Shaped UFO Behind Las Vegas, Nevada On July 6, 2016, Video, UFO Sighting News. Wow, Steven Barone is our eyes in the sky over Vegas. He's got some amazing catches of UFOs over the mountains behind vegas, where there is a USAF base called Nellis. Nellis is famous for having a alien Tall Whites base located underground behind the old firing range. This may be some of the Tall White technology in the hands of the USAF being tested at night. The lights, are the propulsion. Why not go there to investigate? Because its top secret gov property. You can't. I shot this video from my backyard in the Summerlin area of Las Vegas, Nevada on the night of January 1, 2015. This video is a remake and I was torn as to whether or not I should speed it up because it is nearly twenty-three minutes long. I chose to show it at actual speed because I do get a lot of feedback and criticism saying I shouldn't speed them up. The problem is that very few people have the time to watch a long video and speeding slow moving objects up allows more people to watch and it makes it easier to see how they are moving. Also, some nights I end up with hours of footage. I already have three external hard drives where I save the video files and they aren't cheap. That's approximately eight terabytes of video. Despite all that, I wanted to run this one at actual speed. 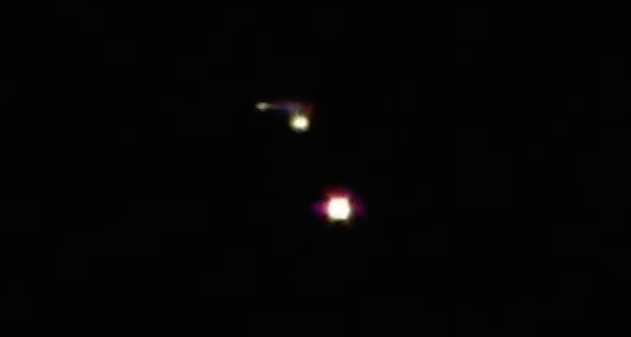 I try real hard not to say anything I am not sure about when I put out a video but in this case, after watching it again I must say that when the video begins it appears to be a V-shaped object with brighter lights on the front and sides. It levels off and you can't see the shape anymore but if you watch long enough you will notice a number of lights coming out of it and a couple going to it. If I have ever caught any motherships on video which I am not sure I have this could be one of them. It sat there for more than twenty minutes.